Editor’s note: And the Borough Manager of Pottstown (population 22,377) rakes in $120,000.00 a year. It would seem a raise is in order! 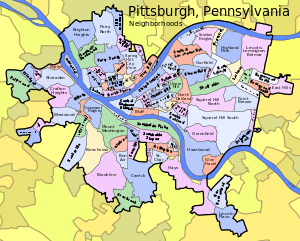 Make sure you read the rest of the article as they list mayor’s salaries for a number of cities in Pennsylvania. NONE are any where near what Pottstown pays its Borough Manager. Somebody’s getting WAY overpaid to run a small town. Scranton Mayor Chris Doherty has proposed to city council that the next mayor who takes office in 2014 should earn a salary of $80,000, which would be $30,000 more than the $50,000 mayoral salary that has been in place over the past 22 years, he said. Two council members said they agree that the pay of Scranton’s mayor should be increased because it is very low when compared to comparable midsize cities in the state, but they do not support a 60 percent pay hike of $30,000. Council is expected today to consider introducing an ordinance to raise the mayor’s pay starting in 2014, Mr. Doherty said. A new salary of $80,000 being proposed by Mr. Doherty, who earns $50,000 a year, would not be applicable to him, as he is not seeking re-election this year and his term ends in December. U.S. Steel today formally commissioned a new battery of ovens at its Clairton coke plant, a $500 million project the company said will preserve steelmaking jobs in the Mon Valley and improve the region’s air quality. The project is a scaled back version of the $1 billion proposal the Pittsburgh steelmaker announced in late 2007, before the global recession decimated steel demand and caused the industry to retrench. 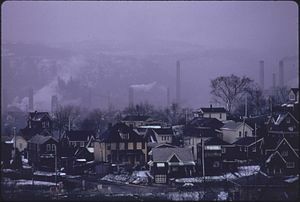 President and CEO John P. Surma said even after the scope was reduced, the project was the largest in the history of the Clairton plant and one of the largest in U.S. Steel’s 112-year history. He said it secures the jobs of 1,300 Clairton employees as well as the 1,400 who work at the company’s Edgar Thomson plant in Braddock and the Irvin plant in West Mifflin. Pennsylvania State Police have temporarily stopped using breath alcohol testing for DUI suspects in the wake of a court decision that calls the devices’ accuracy into question. The suspension, which took effect Jan. 9, is a precaution pending the outcome of an appeal in the case, state police spokesman Adam Reed said. In the meantime, state police will require DUI suspects to undergo blood testing, Reed said. Dauphin County Judge Lawrence Clark dismissed DUI charges against 20 motorists after an attorney challenged the procedures used to calibrate breath alcohol testing machines used by the state police. Clark wrote in his Jan. 31 decision that the failure of a manufacturer to use an independent laboratory in the initial calibration of the machines raised serious questions about the accuracy of their results, rendering them inadmissible as evidence in court. The private businesses that would get the chance to sell beer, wine and liquor under Gov. Tom Corbett‘s proposed overhaul of the state liquor control system had mixed reactions to the proposal. Eric White, spokesman for the Berks-based Redner’s Warehouse Markets, which also runs the Redner’s Quick Shoppes convenience stores, said the chain almost certainly would have to get into the beer business just to stay competitive with its rivals. Lou Sheetz, executive vice president of the family-owned Sheetz chain based in Altoona, said the company loves the idea, is excited about it and believes consumers will be, too. “We have been proponents of adult beverage sales reform in this state for a long time,” he said. One of Europe’s premiere schools for the performing arts, Accademia dell’Arte is a popular study-abroad location for Muhlenberg theater and dance majors. Kevin Crawford has worked with Muhlenberg students since 2002 as a professor at the Accademia and currently directs the school’s Master of Fine Arts program in physical theater. Crawford makes his Muhlenberg directing debut. The production runs Feb. 21-24 in the Baker Theatre at Muhlenberg. Crawford and musician Caroline Boersma are this season’s Baker Artists-in-Residence, sponsored by the Dexter F. and Dorothy H. Baker Foundation. Jonson’s 1614 play is “a noisy, exuberant slice of Jacobean life,” Crawford says. Depicting a day in the 17th century life of the Fair, the play pits Puritan excesses against the cruder vices and pleasures of the Fair’s underclass — the thieves, swindlers, prostitutes and pimps who thrived there. Crawford says that despite its 17th century origins, the story still resonates with modern audiences. Crawford wants to take the world of “Bartholomew Fair,” Jonson’s last great comedy, and show exactly how relevant it still is today. “I’ve done ‘Bartholomew Fair’ before with students and I liked it,” Crawford says. “I was attracted to its language and its time. It’s a contemporary of ‘The Tempest,’ but a bit more racy. It’s quite unusual. … It’s a comedy, definitely not a heavy piece. It’s a fun piece. Kevin Crawford is a founding member of the Roy Hart Theatre Company, whose groundbreaking influence on contemporary voice-work for theater is internationally recognized. He toured extensively with the company for more than 20 years, during which time the company received several prestigious prizes including an Obie Award in New York and the Prix Jean Vilar at The Printemps des Comédiens. The show will also feature Muhlenberg faculty member Holly Cate in the role of Ursula, the Pig Woman. Cate describes Ursula as a grandmother figure to the Fair participants. She describes the humor as “funny and bawdy,” with extreme characters and outrageous situations, and she says audiences will empathize with the characters’ faults and hypocrisies, as well as their successes. “It’s like Monty Python in 1605,” she says. Cate originally signed on to do the show because she wanted the opportunity to work with Crawford. Faculty member Tim Averill’s scenic design will add another dimension to the show. Recently returned from sabbatical during which he explored ways in which sustainability can be incorporated into the theatrical process, Averill seeks to keep the production as eco-friendly as possible. Averill’s set design will use elements from previous productions as well as found objects that will be modified for the show. In addition, all the paint on set will be water based, not petroleum based, and he will use the least amount of “new stuff” possible to create a hand-crafted aesthetic, he says. Averill hopes to use “Bartholomew Fair” as an example of how a designer can preserve production values while also creating a sustainable piece of theater. Both Averill and Crawford have tried to incorporate fun into every aspect of the show, from the rehearsal and design processes to the performance itself. For Cate, the process has shown her how accessible the humor in the script really is. “Bartholomew Fair” will feature costume design by guest artist Annie Simon and lighting design by Gertjan Houben. Molly Serpi is the production stage manager. Pottstown, PA (January 9, 2013) – On Saturday, February 16, 2013 from 11:00am to 3:00pm, visit Pottsgrove Manor and enjoy “Backcountry Cooking,” a demonstration of traditional open-hearth cooking. While the wealthy Potts family could afford to eat fine dishes using imported ingredients, most colonists consumed much simpler fare. In this demonstration, see Pottsgrove Manor’s colonial cooks in action as they create dishes that would have been familiar to rural Americans in the eighteenth century. 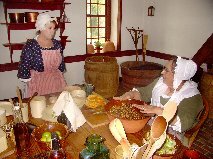 Guests can visit with the cooks in the manor’s reconstructed colonial kitchen anytime during the program. Regular guided house tours will also be offered on the hour. There is a $2 per person suggested donation for this program. Regular museum hours are Tuesday to Saturday from 10:00am to 4:00pm and Sunday from 1:00pm to 4:00pm. Tours are given on the hour. The last tour of the day begins as 3:00pm. Groups of 10 or more should pre-register by calling 610-326-4014. For more information and a full calendar of events, please visit the website at http://historicsites.montcopa.org/pottsgrovemanor or like Pottsgrove Manor on Facebook at http://www.facebook.com/PottsgroveManor. Lancaster County has thousands more people working than a year ago. Sadly, it also has hundreds more people looking for work without success. That’s pretty much why the unemployment rate here has been spinning its wheels. The decision ends six months of limbo for the borough and John O’Connell, who had been on paid administrative leave since July. Bill Hall, chairman of the public safety committee, called the demotion a “reassignment agreement and release” that was agreed to by the borough and O’Connell in a motion offered to council. Council voted 7-1 for the demotion, with Councilman Barry Mowrer opposing. Councilman John Hiestand was absent. Editor’s note: I can’t blame him. 13 years is a pretty huge commitment. POTTSTOWN — For Pottstown School Board member Robert Hartman Jr., 13 years of service is apparently long enough. At the close of Monday night’s school board meeting, Hartman announced that he will not seek another four-year term on the board in the spring primary elections. Hartman said that with the deadline for petitions for the primary election approaching, he wanted to be sure his intentions were known so that anyone who is considering running for the office would know whether or not they would have to face him in the polls. “I’ve heard that other people may be interested and it’s not fair for them not to know,” Hartman said. HARRISBURG – Gov. Tom Corbett will “very likely” propose cutting future pension benefits for current school employees and state workers in the state budget plan he will present to lawmakers next week, his chief budget adviser said Monday. Budget Secretary Charles Zogby, all but confirming a cost-cutting approach that the administration first floated last fall despite questions about its legality, said decisive steps must be taken to rein in taxpayers’ fast-growing share of pension costs. “We’ve got to pay for our obligations and we need to look at a rebalancing of our pension obligations … if we’re going to meet our needs without inflicting deep cuts elsewhere in the budget,” he said at a Pennsylvania Press Club luncheon. 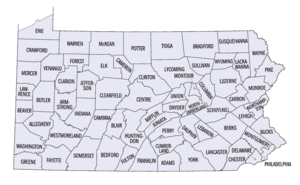 Editor’s note: Who ever thought we would see PennDOT and efficiency in the same sentence! Extra taxes and fees aren’t the only tricks PennDOT has up its sleeves to round up more money for road projects. The agency’s also turning to some less obvious solutions to its funding woes, such as mail-sorting machines and more durable highway paint. PennDOT’s put together a list of technology investments, policy changes and other tweaks it thinks could save the state $50 million to $75 million a year and, in some cases, make the agency a little more pleasant to deal with. The anticipated savings are a drop in the bucket compared with the $3.5 billion gap between available funding and the state’s transportation needs. But it’s something. The hundreds of supporters entering the front door at the Keyser Valley Community Center on Sunday to see Democrat Bill Courtright formally announce his campaign for mayor of Scranton received smiles and handshakes from the candidate himself. Bruce Springsteen’s “Glory Days” played in the background as Mr. Courtright focused on themes of “returning the luster” and reaching out to the people of his hometown – a place of staggering municipal debt and significant skepticism about city leadership. The city’s current tax collector and a former city councilman, Mr. Courtright, 55, of 126 Ridgeview Drive, said he will bring commitment, competence and character to City Hall. Without going into a lot of detail, he also offered insights into his immediate priorities if elected mayor, calling for an in-depth analysis of the city’s finances and plans to create a panel of community leaders to help solve the city’s problems. TRENTON – Gov. Christie hasn’t held a news conference about it, and his treasurer has refused to testify on it. 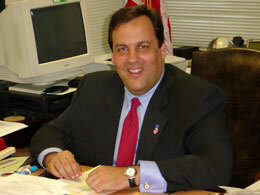 But the Republican governor is close to privatizing the bulk of a $2.8 billion New Jersey institution. Following a national trend already under way in Pennsylvania, Christie is negotiating a 15-year contract with a company to operate the state lottery in an effort to increase sales, thereby building more revenue for schools and state institutions. Like Pennsylvania’s Republican Gov. Corbett, Christie bypassed the Legislature, much to its chagrin, in bidding out the system. And like Pennsylvania, New Jersey got just one bid in response to its request for proposals. Unlike in Pennsylvania, where the pending contract was ultimately posted online and must be submitted for approval to the Democratic attorney general, New Jersey’s lottery bid is not public. Christie could just sign a contract in the next two months. Hundreds of thousands of property owners in Bucks, Chester, Delaware, and Montgomery Counties are getting something they probably don’t want in the new year – higher real estate taxes. 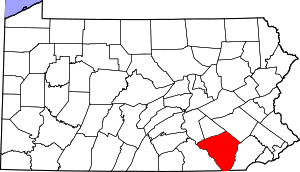 Countywide increases, approved in December, affect the owners of all 382,304 real estate parcels in Chester and Delaware Counties. Some people are taking a double hit, as at least 27 towns in those counties also have increased taxes. Bucks and Montgomery Counties kept their rates the same, but at least 28 municipalities raised real estate levies. While the reasons vary, officials say the overarching reason is basic: Revenue is down; costs aren’t. Cash-poor and in need of some good news, Lehigh Valley International Airport operators are turning to a new strategy to appeal to passengers: their stomachs. OK, a really good hoagie or a perfectly mixed latte isn’t going to make anyone buy a plane ticket, but airport officials are hoping to attract at least some people who aren’t scheduled for a flight. LVIA has hired a San Diego company to take over three restaurants and a newsstand in hopes of upgrading the offerings and increasing the airport’s take. First Class Concessions has a deal to renovate and run the airport’s retail space for the next decade. Reading has been busy in court the last few years, but its track record has been pretty good. It has resolved 139 suits brought against it since 2004, with no payout to plaintiffs in two-thirds of them. The cost for its attorneys was more than $1 million. At the moment, the city has more than 70 cases under way in county, state and federal courts, or in agencies such as the U.S. Equal Employment Opportunity Commission and the Pennsylvania Human Relations Commission. “It’s tough keeping track (of the cases), but the attorneys handling them do a good job of it, and keep me in the loop,” said Charles D. Younger, city solicitor since 2000.